100% PIM Tested with Data Available. N, DIN 7/16, 4/3/10, 4/1/9.5, QMA etc. DC-6 GHz using SPP-250-LLPL. 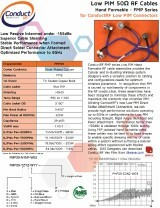 Plenum rated 1/4" Corrugated Cable. 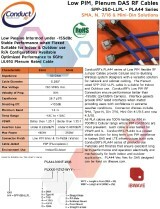 DC-3 GHz and 6 GHz Flexible Cable Plenum Rated solutions with 0.141" Low PIM Cable. 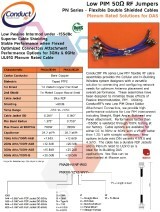 DC-6 GHz with Hand Formable 0.141" Low PIM Cable. Ideal for tight space applications.